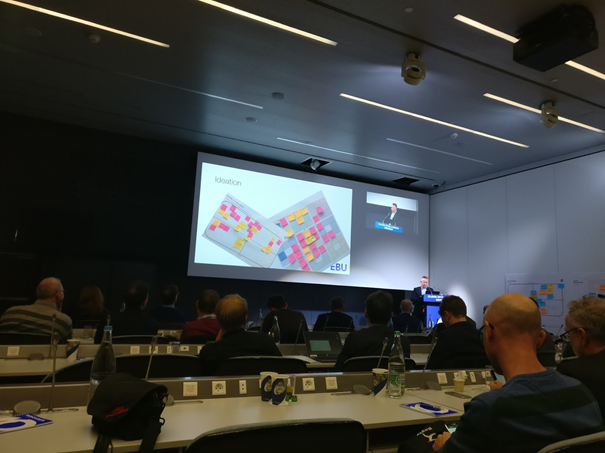 The EBU (European Broadcasting Union) Cloud Intelligence Seminar (CIS) in Geneva on Tuesday 20 and 21 November addressed a range of interesting topics on AI in the cloud, in particular on media production through cloud services. 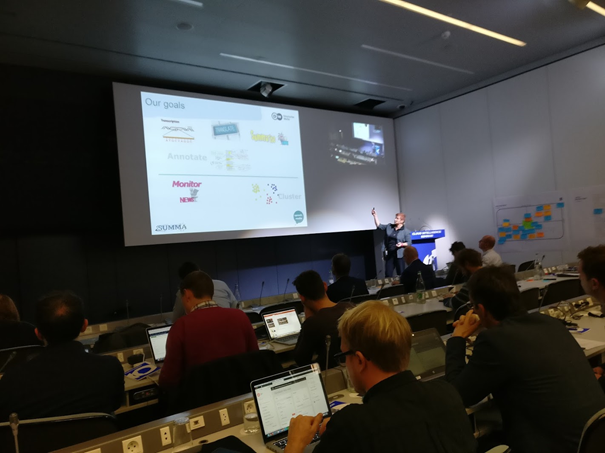 The first day included an overview of the what, how and why of AI for media and the need for transformation. In the providers session, companies such as Microsoft, IBM, Amazon and Limecraft discussed the current issues and status and showed some of the powerful tools and platforms they offer, including the MS Video Indexer and IBM Watson. During the second day, several media use cases showed current work by media companies, including RAI, VRT, YLE, SRF, and Deutsche Welle. Peggy van der Kreeft from Deutsche Welle presented ongoing work on SUMMA and the DNI projects speech.media/news/bridge, two language technology platforms Deutsche Welle is collaborating on. She addressed some vital issues the media world is struggling with. Why do we need such platforms? What can they do and what not? In what way will it affect journalistic work(flow) in the future? Are the expectations realistic? A discussion of these challenges and a live demo of the platforms triggered quite a lot of interest, leading to opportunities in terms of potential users as well as contributors, and test groups to be involved in further user testing.